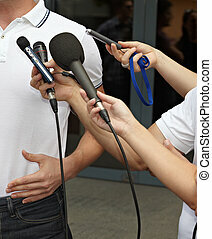 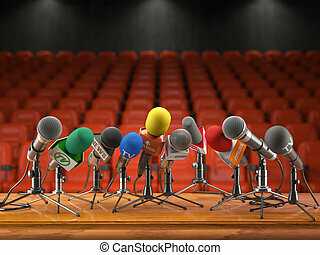 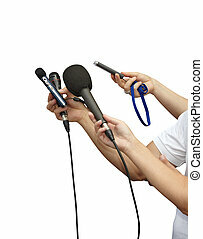 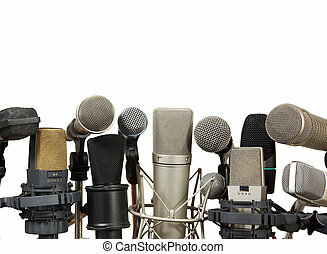 Business meeting conference journalism microphones. 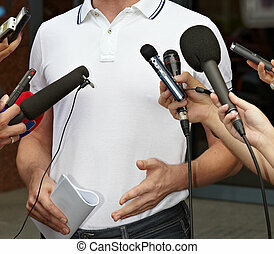 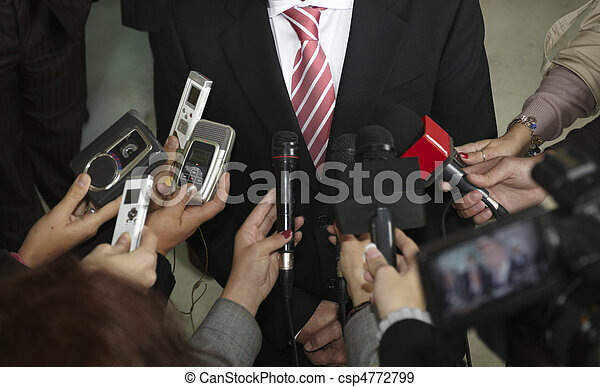 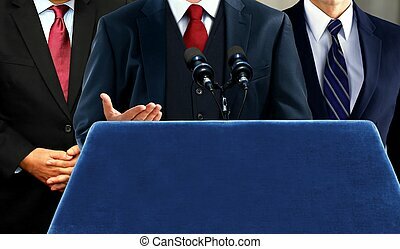 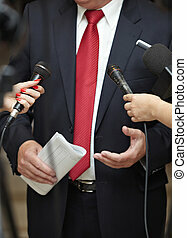 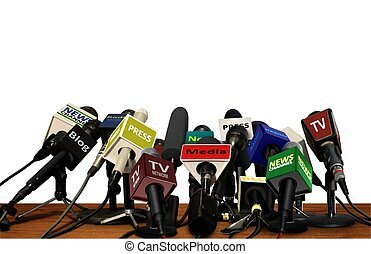 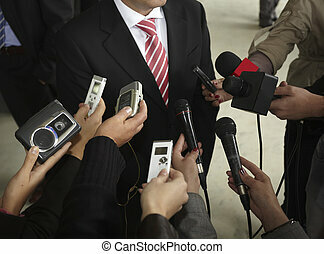 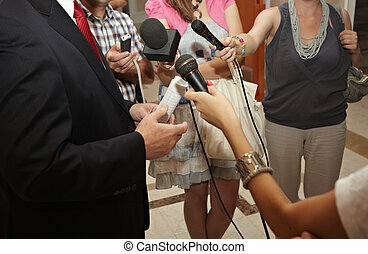 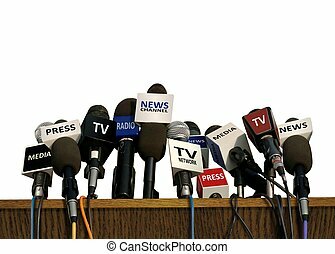 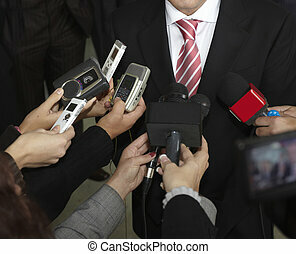 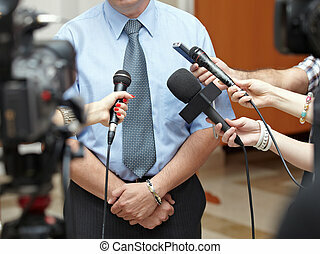 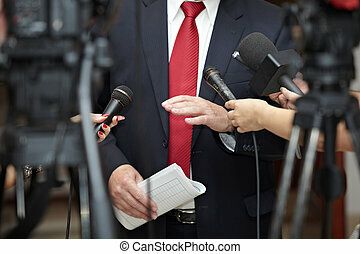 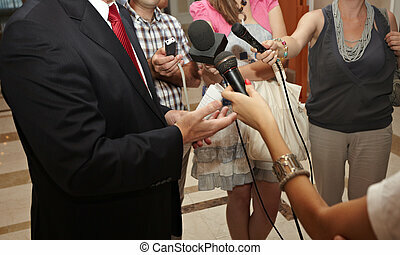 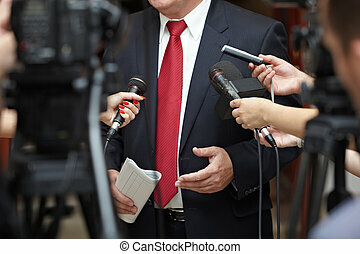 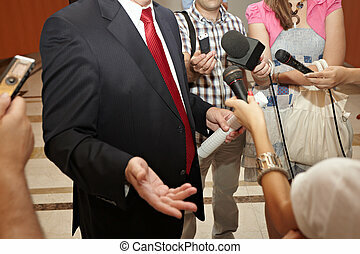 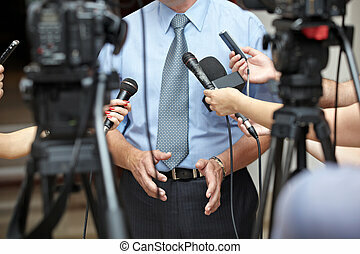 Close up of conference meeting microphones and businessman. 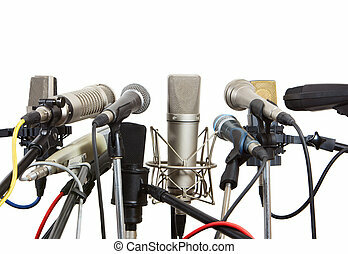 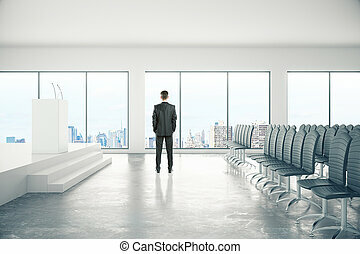 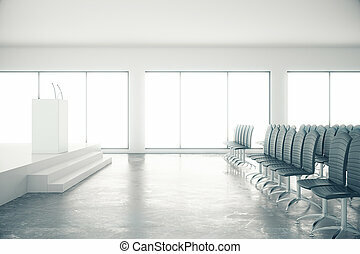 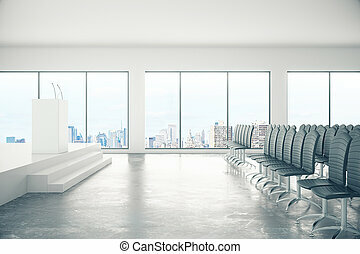 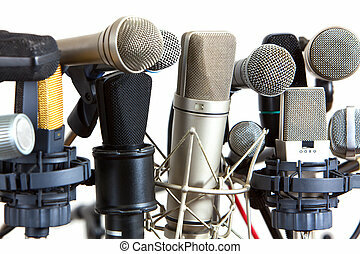 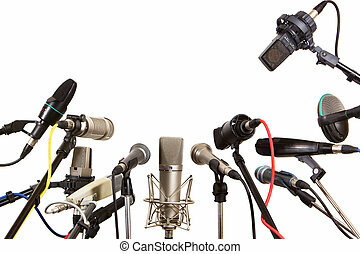 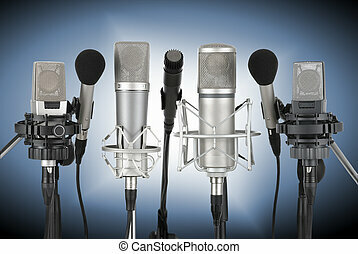 Microphones prepared for conference meeting - isolated on white. 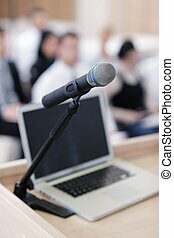 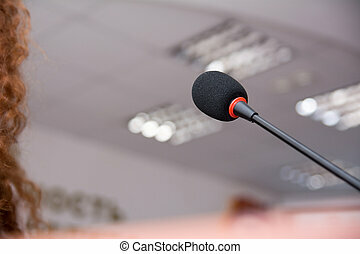 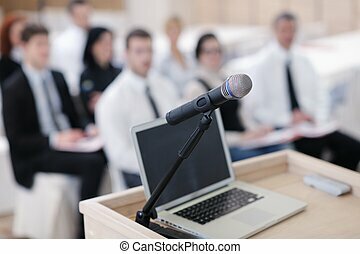 Microphone for the lecturer at the conference.